Joe Allen's scoring streak continued as his double gave Stoke a first Premier League victory of the season over winless Sunderland. The Wales international shrugged off concerns over a hamstring problem with first-half goals that took his tally to five in four games for club and country, as Mark Hughes' men secured a 2-0 triumph in their eighth league fixture. It was enough to at least temporarily move them out of a relegation zone that is still occupied by their opponents, who gave little evidence that a first Premier League win of the David Moyes era is around the corner. Hughes had suggested Allen had "probably done a little bit too much" during the international break but any fears his form would disappear were dispelled within eight minutes. 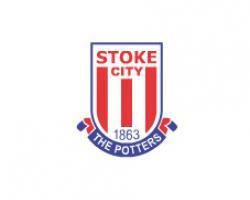 The Potters arrived into this contest having failed to score a first-half league goal this term but that was soon remedied as their first attack culminated in an opener which was far too easy. Xherdan Shaqiri's pass into Marko Arnautovic was not cut out and little was done to prevent the Austrian from clipping the ball to the edge of the six-yard box, where Allen had stolen a march on Patrick van Aanholt to nod home. Until that point, the Black Cats had looked comfortable and only a brilliant Ryan Shawcross block stopped Jermain Defoe from levelling via a Wahbi Khazri pull-back. The visitors were fortunate Geoff Cameron chose the wrong option when waltzing through midfield and Wilfried Bony blazed wide after shrugging off Papy Djilobodji with ease. Runners were not being tracked, little pressure was put on those in red and white, so it was no surprise a second goal duly arrived prior to the break. Arnautovic had already slid one effort wide and Cameron had seen Jordan Pickford save brilliantly from a one-on-one opening when Allen scored again. Shaqiri's corner was headed towards goal by Shawcross and though John O'Shea was able to nod it to the edge of the penalty box, Allen was there to whip a left-footed half volley through substitute Billy Jones' legs and into the net. Stoke's attacking talent, often subdued this term, flourished early in the second half and Pickford saved from Bony, with Allen's rebound stopped by Djilobodji, while the hosts' on-loan Ivorian then fired wide. Blocks denied Arnautovic and Shaqiri, with the former also seeing a goal ruled out for offside when he turned Charlie Adam's shot beyond Pickford. Hughes seemed content to shut up shop with 15 minutes remaining and Allen and Bony were both replaced as Stoke chased an elusive clean sheet. And it came for the first time in 18 league games, with the only real attempt of note in the closing stages coming at the other end when Adam rattled the crossbar from long distance.